At Eng Kong we are committed to provide the best services and facilities to our customers. 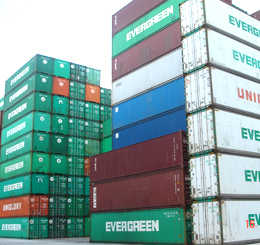 Through our commitment and strong emphasis on efficiency and quality, Eng Kong has developed and established industry standards for the container industry. Our experienced staff and well-equipped sites are ready to provide you with a full suite of storage and handling services. 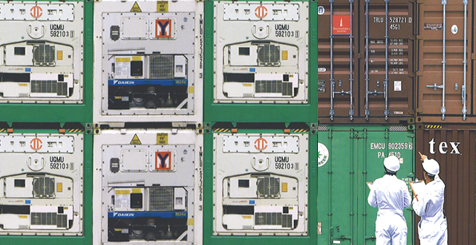 40 technologically advanced container depots across Asia-Pacific: we can offer you a comprehensive range of support services through a strong regional network of depots. A modern fleet maximising capacity and efficiency: Equipped with a modern fleet of Fantuzzi, Kalmar, Linde, Sany and Hyster double box stackers and forklifts. Our Fantuzzi forklifts can lift up to three 20-foot containers and our double box stackers can efficiently lift and stack two 20 or 40-foot containers at a time. Furthermore, our double box stackers allow us to stack containers up to nine high in Singapore depots, which has led to a significant increase in storage capacity. At Eng Kong, we deliver you efficiencies in productivity through increased site capacity, capability and rapid turnaround times. Advanced systems platform for accurate reporting: we offer you an Electronic Data Interchange (EDI) functionality, so you can have access to accurate and up-to-date container statistical reports to help you make more timely and informed decisions about your operations. We can offer this functionality in accordance with your needs - via IAS, IDX, Sterling Commerce or through customized electronic data interchange. Efficient container repair and maintenance services: in addition to accurate reporting and EDI functionality, our fully accredited and certified welders, metal fitters and general maintenance staff offer top quality repair and maintenance services including re-work and washing for all makes and models of containers, on time and within budget, while meeting industry standards. Whether your container requires major repairs or something minor, our depots and staff are well equipped to provide timely and efficient repair and maintenance services. 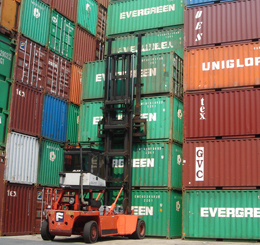 For more information, read about our repair and reefer services.